The Melplash Agricultural Society’s Annual Hedgelaying and Ploughing match promotes and celebrates local agriculture and farming skills. This year the contest took place at Higher Langdon Farm, Beaminster DT8 3NA by kind permission of Mrs Tessa McKenzie-Green. Standing high above Beaminster it really was a sight to see. 40 ploughman and 40 hedgelayers of all ages and abilities took part. The ploughing match includes classes for vintage tractors with trailed or hydraulic ploughs (before 1960), classic tractor with plough (manufactured before 1971), hydraulic 2 or 3 and 4 or more furrow ploughs and a Contractor Challenge for tractors with reversible ploughs. As well as prizes being given to the best in each class, prizes are awarded to the best novice, open, young farmer and local ploughman. Competitors in the hedgelaying competition have to lay the hedge Dorset Style, a style that has been championed by the Society and is now recognised by the National Hedgelaying Society. This means that it should be low to the bank/ground and be tightly woven using itself and bonds/binders used internally and externally as and where required to secure. The finished hedge should be a half barrel finish at a height of 2ft 6” to 3ft. 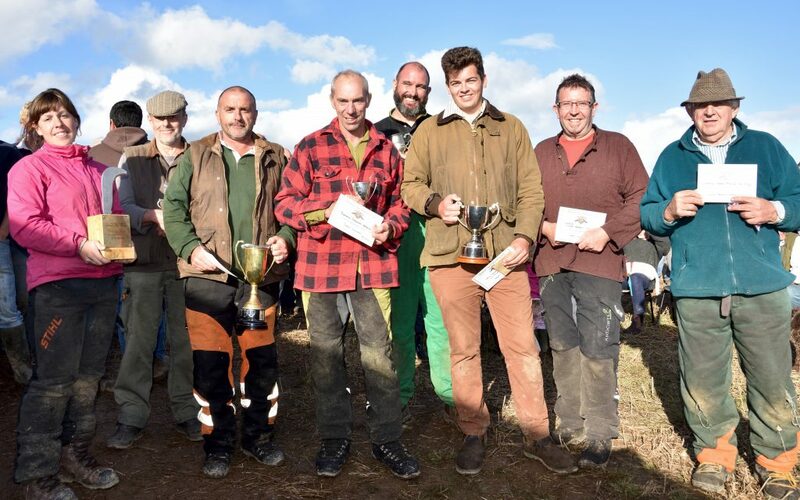 The competition was again well supported with a very good novice section including a number of individuals who had attended the Society’s free hedgelaying training day which took place a couple of weeks before. Overall Hedgelaying Champion receiving the SILVER PERPETUAL CUP PRESENTED BY CLEEVES & EDWINA PALMER awarded to Terry Coombe. CREED BROTHERS SILVER PERPETUAL CHALLENGE TRAY awarded to B Dennett. 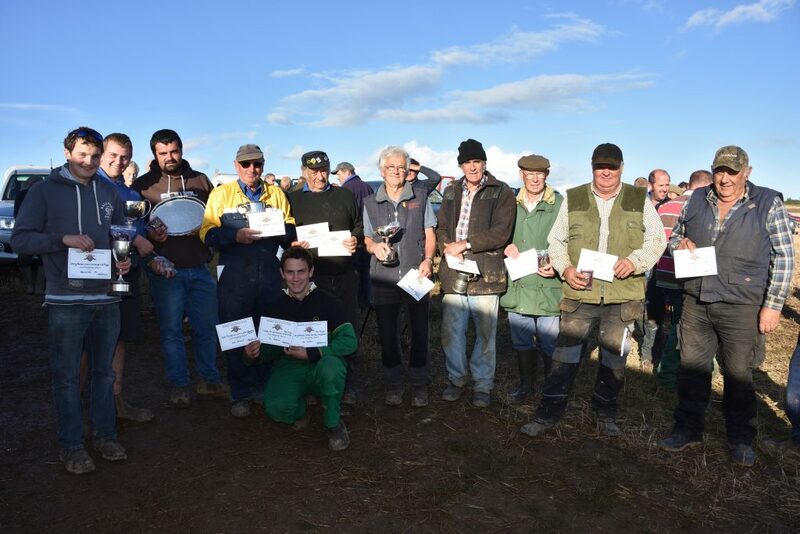 Silver Perpetual Challenge Cup for Best Ploughing using a Case or David Brown tractor using a KV plough. Silver Perpetual Challenge Cup kindly sponsored by GSC Ltd., Dorchester awarded to M Symonds. Prize kindly donated by Francis Bugler Ltd of Beaminster for Best Ploughing by a Ford Tractor awarded to B Dennett. Prize kindly donated by Smart Agricultural Services of Dorchester for Best Ploughing with a John Deere Tractor awarded to B Norman.